What makes these thermostats COMPLETELY tamper proof? The setting limits are programmed into the PCB (printed circuit boards), there is no way to way to change the setting range without actually replacing the circuit board. Do I have to program each thermostat with a security code? No, there are no security codes and no programming is needed. Each thermostat is ready to install right out of the box. How difficult are these thermostats to install? They are very easy to install. Installation takes about 5 minutes. Almost always a wire for color coded wire replacement using industry standard coloring. What types of HVAC systems will this work on? 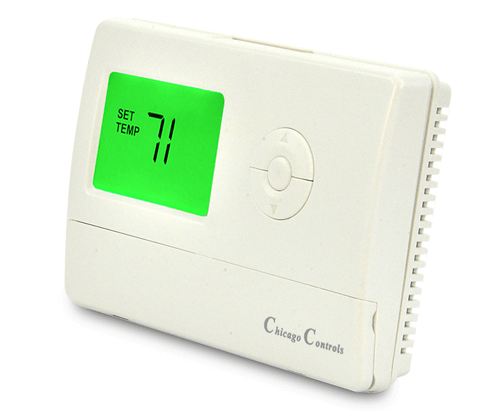 Our residential temperature limiting thermostats were engineered to be very versatile. They will work with heat only, cool only, heat and cool systems, and single stage heat pumps. Whether you have 2, 3, 4, 5, 6, or 7 wires from your heating unit to your thermostat, there is a wiring configuration that will work for you. All variations are addressed in the instruction owners manual. Will these thermostats work with “Line Voltage” electric baseboard heat? No they will not, line voltage thermostats use either 220VAC or 110VAC. 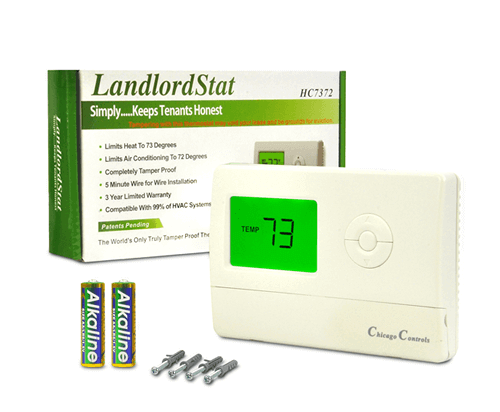 Our thermostats operate on standard 24VAC systems. Do you give discounts for volume purchases? 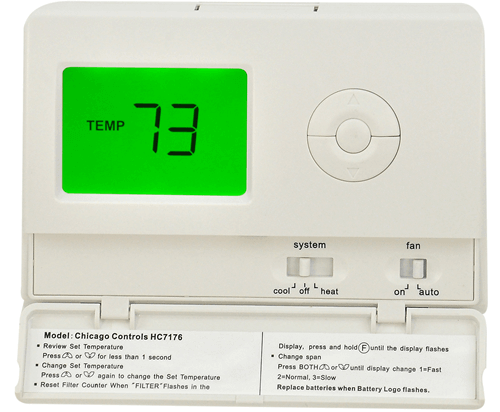 Yes, we supply thermostats to many housing authorities, real estate investment trusts, and institutional and government agencies. Contact us for specifics. We discount based on quantity, model, and payment method. Yes, all of our products have a full 1 year warranty and a 30 day satisfaction guarantee, see warranty page for further details. HUD spends over 4 BILLION dollars a year on energy! That’s more than 10% of their TOTAL budget. The Landlord stat could significantly reduce this amount. program in which we will give you our thermostats in exchange for half of your energy savings over the next 3 years. Some restrictions apply. Not all customers will qualify for our revenue share program. On average, each year the Landlord stat saves more than 6 times its cost from abusive tenants!